The first part of this section dealt with Chosun documents related to the Anyongbok incident. It cited mostly Korean records. Up until recently, many Japanese scholars doubted the An Yong Bok incident even occurred. However, in 2005 a Shimane newspaper reported new information that shed light on what exactly happened in 1696 when Koreans (Anyongbok et al) protested Japanese trespassing on Ulleungdo and Dokdo Islands. 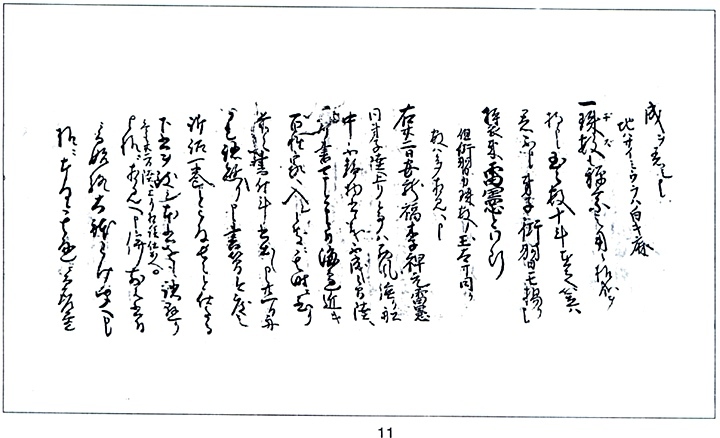 Here is a summary of the article, actual images of the document and Japanese transcripts. 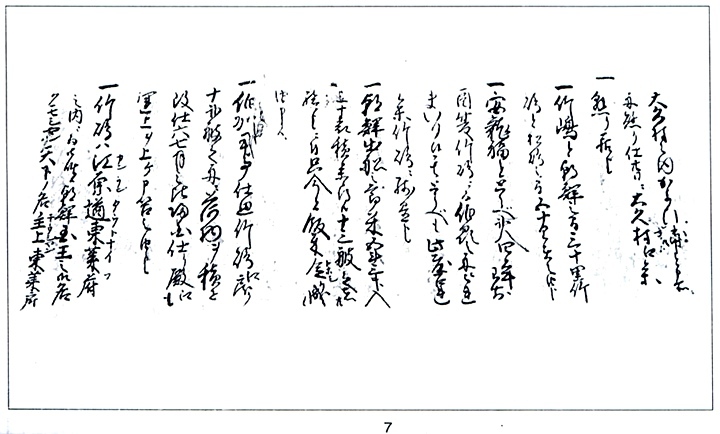 A local newspaper in Shimane Prefecture the San-in Chuo Shimpo reported that a newly discovered Japanese document regarding the interrogation of Anyongbok has been found. 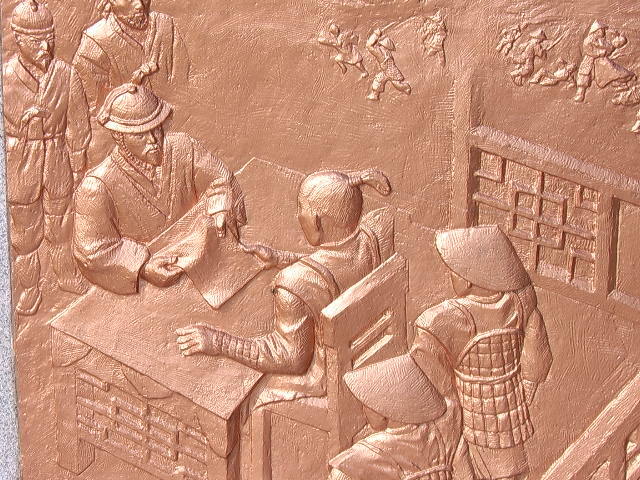 In the year 1696 in history Anyongbok went to Japan to protest about Japanese fishing at Dokdo. According to this news article, when asked about his crossing into Japan, Anyongbok said he came to confront the Japanese ruler and consistently insisted on Chosun’s sovereignty over both Ulleungdo and Dokdo. In the recently released documentation with the title of (), Anyongbok is quoted as saying “Japanese calling Takeshima is Ulleungdo and Matsushima is Jasando (Chosun’s name for Dokdo back then) and that they are both under Gangwando Province, showing a map of Korea’s eight provinces and where the aforementioned islands are marked. The San-In Chuo Shimpo also reported previously it has been disputable as to what Jasando (or Usando) refers to through Japanese documents found so far, but based on Anyongbok’s explanation ” 30 ri from Takeshima to Chosun, and 50 ri from Takeshima to Matsushima…” Jasando seems to mean Dokdo now. 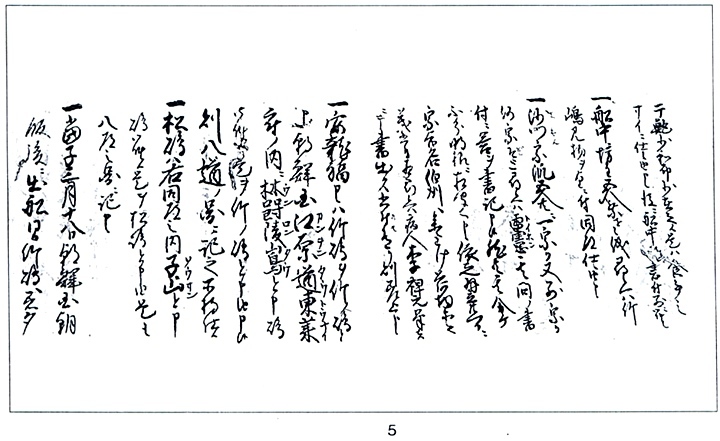 This document was discovered in a storage room of the tradtionally acknowledged Murakami family who have resided in Shimane Prefecture for many generations. 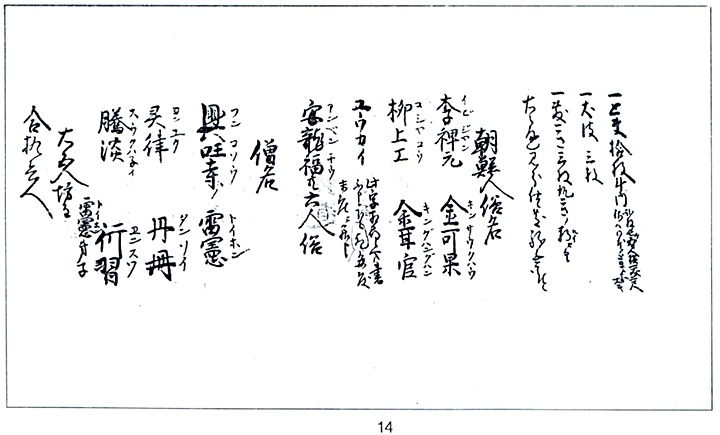 The image on the left is simply the cover of the document detailing An Yong Bok and his crew’s arrival on Oki Island. The second page of this record begins with a description of Anyongbok’s boat. Two masts, two sails, one helm, five oars, two cotton flags put up. Two wooden anchors, four pieces of paper mulberry wood in a bundle, mats, dog pelts. 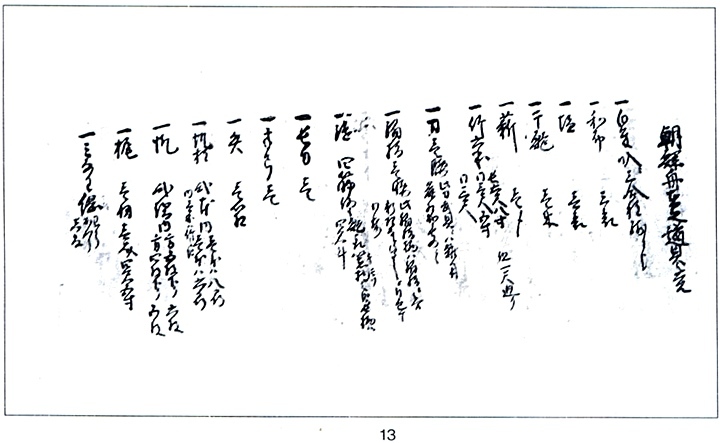 Page 3 of this record gives a description of Anyongbok and the other Koreans on board his boat. Non-monks: (),(),(). Three other names and their ages are not recorded. Monks: (),() The names of the other three are not recorded. He was wearing a black hat, a string with a crystal (sujeong), and a thin cotton top. Around his waist hung a tag, which was inscribed with (Chinese characters). He had in his possession as stamp, a small box, and a fan with a small case that had an earpick inside. Age: His age is not recorded. He was wearing a black hat with cotton straps attached and a white cotton top. He was holding a fan. 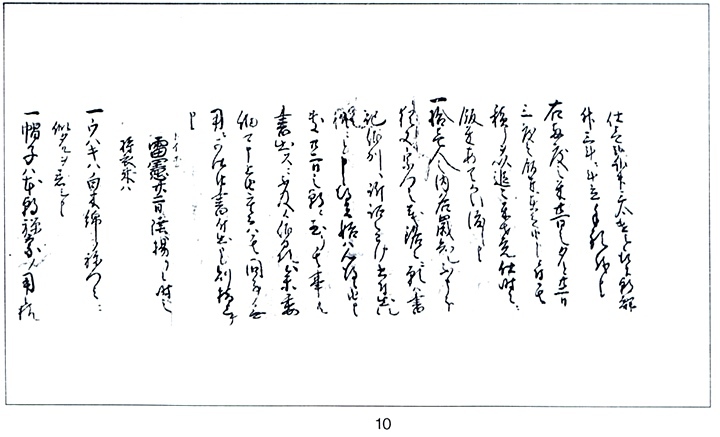 Page 4 of the report details the others who voyaged to Japan with Anyongbok. He was wearing a black cone-shaped hat with cotton straps around his neck. The top he was wearing was woven with fine beautiful thread and he was holding a fan. 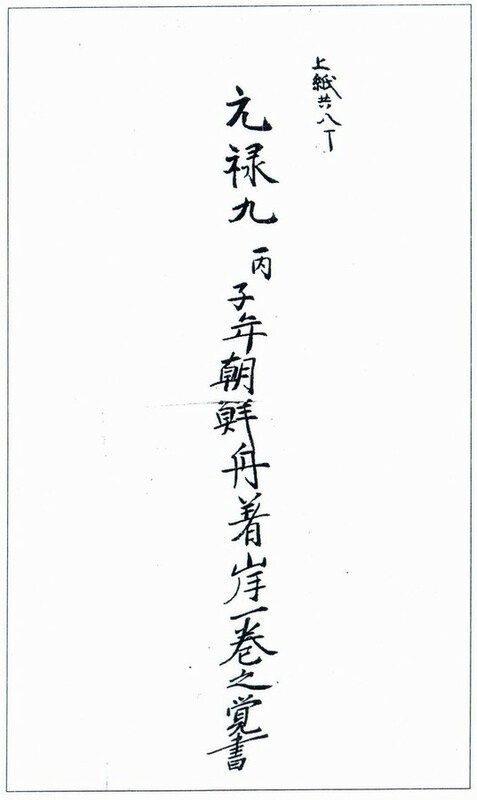 A document printed with Geum-Oh-San stamp was given by Nwoe Heon and a copy of it was written immediately. 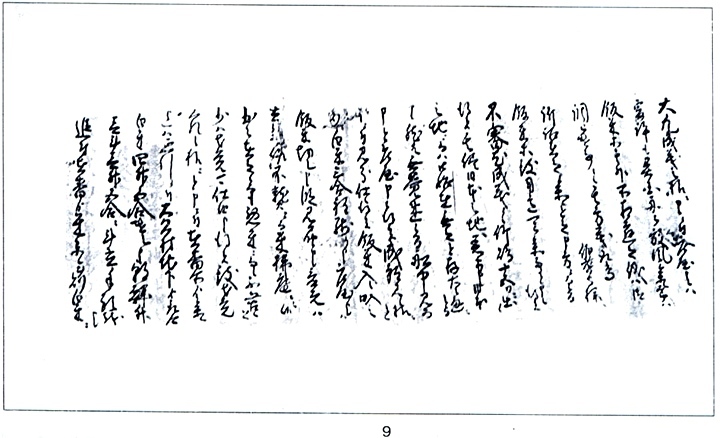 A document with Geum-Oh-Stamp printed was shown by Nwoe Hyeon, and immediately a copy of it was made. There was a box measuring one foot long, 0.4 feet wide, and 0.4 feet high. It had a lock and inside there were bamboo san-mok, an inkstone, and a brush. Also was a disciple of Nwoe Heon, he is in training to be a monk and is 33 years old. As the three men of Anyongbok, Nwoe Heon, and Gim Ga Gwa mentioned above were in the presence of Jae Beon In, they presented a map of the eight provinces of Korea (shown below) that they had in their possession, and wrote the names of the eight provinces in Korean. Of the three men, An Yong Bok worked as a translator to be inquired of. When asked if the boat was loaded with anything, he said that there was a little dried and salted fish and a small quantity of seaweed and that they were for food. A list of the contents of the boat is recorded at the back. Page 5 Gives more details of Anyongbok’s journey. To the question about if all the five monks belonged to the same denomination of Buddhists, or what kind for that matter, Nwoe Heon gave his answer in writing. What he wrote, however, was not clear, and thus on the next day (the 21st) the name of the denomination was sent to () along with the list of baggage and matter of the patient () in a letter. On Dang-ja March 18th they had breakfast in Korea, departed in boat(s) arrived in Takeshima (Ulleungdo Island) that evening and ate their dinner there. Page 6 goes into detail about the journey from Korea to Ulleungdo, Matsushima (Dokdo) and Oki Islands, Japan. Thirteen boats sailed to Jukdo (Ulleungdo) carrying nine, ten, eleven, twelve to thirteen or fifteen passengers in each. To the question about how many went, they didn’t know. Out of the thirteen boats on to the left twelve went to Jukdo (Ulleungdo) to gather seaweed, catch fish and harvest bamboo trees. They say there was not a lot of abalone this year, though. According to Anyongbok, those eleven people in the boat arrived here by the favourable wind and were going to sail to Baek-ju () eventually in order to confront (). On May 15th they left Takeshima (Ulleungdo), reached Matsushima (Dokdo) on the same day, left Matsushima on the 16th, got to Nishimura village on the coast of Oki Island on the morning of the 18th, and came into port in Dae-gu Chon on the 20th. Since the Sa-chon coast was rough, they went into port in Jung-chon on that same day. On the next day of 19th they left there and tied their boat at Ga-yo-ri Port in Dae-gu-chon that evening and on the 20th they went to Dae-gu-chon. 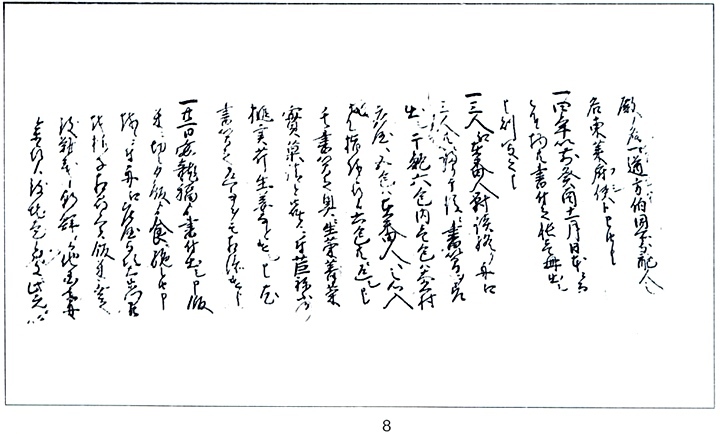 Page 7 of the document gives further details of the Japanese conversation with Anyongbok. Anyongbok says it is 30ri from Jukdo (Ulleungdo) to Korea and 50ri from Jukdo to Matsushima (Dokdo). Both Anyongbok and Toribae (Bakahdo) were taken to Baekju from Jukdo (Ulleungdo) four years ago in the summer. He says he didn’t bring Bakahdo this time, leaving him behind on Jukdo. After taking care of some of the business in Baekju, they were going to go back to Jukdo to load the twelve boats and return to Baekju again between June and July to present Baekgisu with Unsang, he says. Jukdo (Ulleungdo) belongs to Dongnaebu, Gangwondo (Korean District and Province) and the name of Dongnaebujeon, which is under the rule of the King of Korea, is Ildobangbaek. The name (title) for the ruler of Jukdo (Ulleungdo) is Dongnaebusa. says Anyongbok. Page 8 describes some of the problems Anyongbok and crew were having with food. A copy of Seobuk was presented along with somethings Japan gave four years ago in November. This book was immediately copied out. After the talks between the three Koreans and Jaebeonin was over, the three went back to their boat and sent six slices of dried abalone, one to Daeguchon and the other five to Jaebeonin, in a gracious manner along with a letter. But they were all returned back, and at the end of the letter was a request for some fruit. Thus we sent them some lettuce, fruit, ginger etc,. We also wrote a reply to their letter. On the 21st, Anyongbok sent a letter, which said they were running out of rice and there wouldn’t be any left for them to eat for dinner. So (…) was sent over for to check, and found it alarming that there was not rice for food. According to him (Anyongbok) they said that in Korea when a foreign boat is visiting, they serve them with food and asked if Japan doesn’t do as much. (…) says that here as well, necesessities including rice are provided after checking if a foreign boat had to stop due to bad weather. However, this boat we have visiting now came with the purpose of accusing (…. ), and it is absurd that they hadn’t prepared enough rice. They left Takeshima (Ulleungdo) on the 15th, directly reached Japanese land and thereafter were having difficulties because of lack of food as mentioned before. The boat was searched, and about three hops of rice were found to be left over. Now they are out of rice and therefore won’t be able to eat. Before they went to Jaebeonso, four twae of rice and five hop of rice were given to them. That rice was from some commoner in Daeguchon, and it amounts to 1 mal 2 twae and 5 hop in Korean measurements. More rice was provided again in Jaebeon, 1 mal 2 twae and 3 hop which amounts to 3 mal in Korean measurements. The second supply of rice was given on the evening of the 21st, and the third on the 22nd. Page 10 describes the complaints of Anyongbok’s crew. Regardless of the fact that some names and ages of the eleven are unknown, much less the denomination of their religion, they are still going to lodge a complaint against Baekju. Until the morning of the 22nd they still failed to write out the information. Thus we will ask them again in detail about the purpose of their trip to Baekju, and report on that. A white cotton top, a roughly woven hemp gown (the inside white) a hat that represents Japanese Buddhism. Page 11 continues to describe the Buddhist monks of Anyongboks crew. The rosary he (Nwae Heon) had looked similar to the kind used by Seon Jong Buddhists. It had tens of beads strung around it. He wasn’t wearing a hat. His disciple Yeon Seup was wearing the same clothes as him. The beads of Yeon Seup’s rosary were as big, but more in number than those of Nwae Heon’s. On the 22nd, Anyongbok, Leebiwon, Nwae Heon and his disciple had to come up to the land because the winds from the West were blowing very hard and hence writing in the boat was very difficult. So they wrote their report in a villager’s house near the beach and submitted it. Page 12 of the report is a brief summary of the events. Here is the report written on the boat on the 21st, an article of suit filed this time, and the whole story that has progressed thus far. From the 22nd the consultation took place on land. So the documents made before that and what has happened up to now are recorded here. From the 21st to the 23rd the winds and the rain were so strong that we moved the Korean boat to Seohyang. Even the work alone of pushing the boat onto land was challanging. A boat and porters were sent over to tow the boat into Daeguchon. Starting on the 18th the winds from the West were blowing fiercely every day, and this obstructs the passage of boats on the sea. To file a petition to Seokju (name) was shipped off and on the 22nd (…) came back to send (..) and (..) to Daeguchon, who had a (Jangok) supply rice and some food with those Koreans. Being glad, the Koreans sent us a letter and we forwarded it immediately. The document of (..) and the list of the records submitted by the Koreans are to be delivered by (..). End of report….May 23rd. 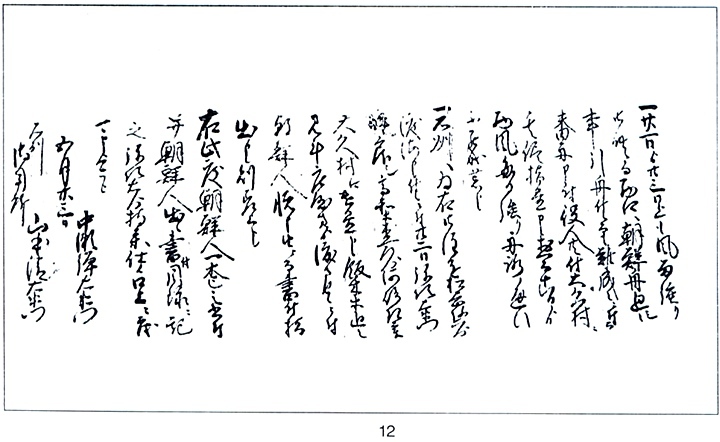 Page 13 is a recorded list of all contents found on Anyongbok’s boat upon his arrival in Japan. 1. About three hops of rice. 2. The pyos of seaweed. 3. One pyo of salt. 4. A sack of abalone. 12. A box of arrows. 17. Ten personal covers (Two of them are 5 feet in length and 1 jang 2 cheok in width. The investigation has been definitely completed as above. 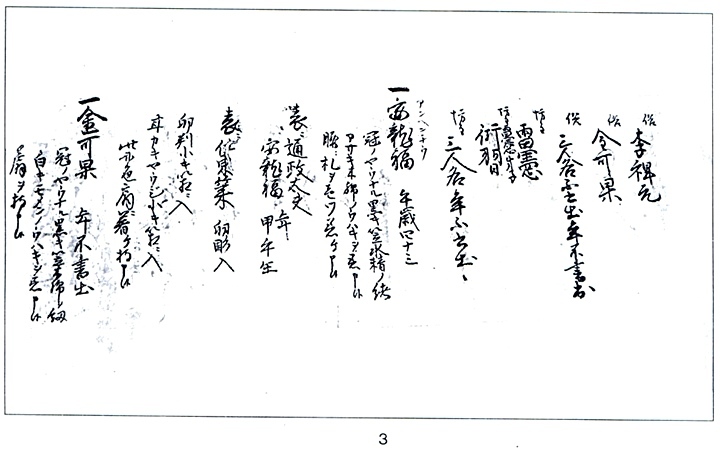 Page 14 of the Japanese Anyongbok Incident gives the names of the Koreans. The five above are Buddhist and the total crew were eleven. Page 15 is a text map of the provinces and islands An Yong Bok declared as Korean territory including Ulleungdo (竹島) and Dokdo (松島). Gangwan Province Takeshima (Ulleungdo) and Matsushima (Dokdo) in Gangwan Province. It was this recorded dispute between Korean and Japanese citizens that resulted in Japan “ceding” Ulleungdo Island to Korea. 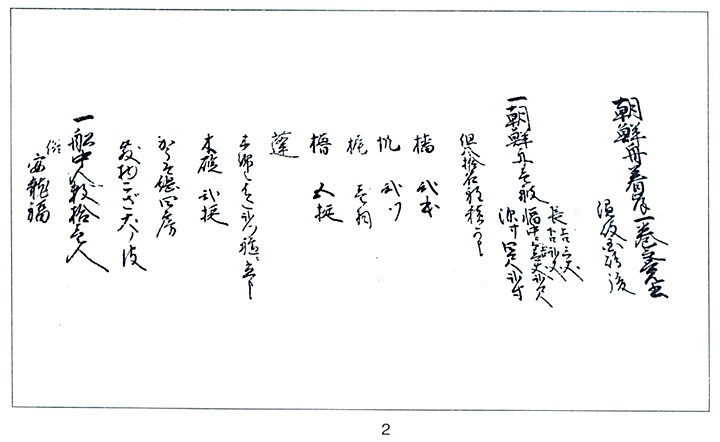 However, this dispute never clearly resolved the issue of Matsushima’s (Dokdo) ownership. Why didn’t Japan mention Dokdo when it was determined Takeshima (Ulleungdo) belonged to Korea? First, Matsushima’s importance to Japan was only as a stopover en route to Ulleungdo. With the loss of Ulleungdo Japan no longer needed Matushima (Dokdo) Travelling five days return to some rocks with little or no fresh water and average fishing was not a likely option for Japanese fishermen. 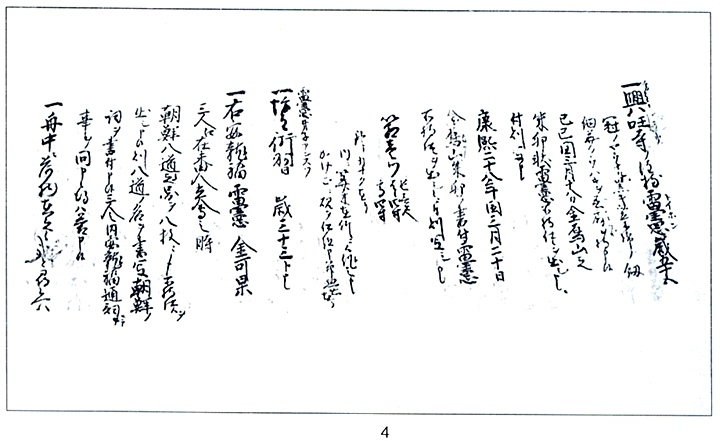 Secondly, it’s important to note Anyongbok’s declaration that Matsushima (Dokdo) was part of Gangwon Province caused no objection from the Shogunate in recorded correspondence between Japan and Korea that followed the incident. Without any mention of Matsushima it is probable Japan considered the rocks of little value and simply didn’t care. Some Japanese assert that Anyongbok and crew were not cognizant of Dokdo and his mention of Matsushima was simply a fabrication. However, when we view the map below we can see Dokdo lies directly between Ulleungdo, (where Anyongbok was recorded leaving from) and Oki Island (where his arrival is verfied by historical Korean and Japanese records). Dokdo is visible from up to 54 kms as shown on this chart. On an average day, Dokdo is said to be easily visible from 30kms at sea level, thus it is not plausible Anyongbok and crew didn’t see Matsushima (Dokdo) en route to Japan. Historical records from the Japanese tell us the travel time to Dokdo from Ulleungdo is about a day and the time to Oki from Ulleungdo is a little more than two days. Anyongbok’s recorded travel times on this record match quite well, his sailing to Oki was a little faster than Japanese records but he did mention the winds were favourable while Japanese had to battle prevailing winds and currents when they voyaged to Ulleungdo Island. The maps below are satellite images of Korea and Japan. These charts show the typical wind direction on the Sea of Japan (East Sea) during the late spring. These winds were also recorded during Anyongbok’s voyage. Being from the southwest, these winds would have pushed An Yong Bok’s boat even closer to Dokdo. So in all probability, An Yong Bok’s voyage route would not have been directly strait but rather curved closer to Dokdo Island as they tacked toward the Oki Islands of Japan. The contents recorded found on Anyongbok’s also give us a clue about the nature of his destination. 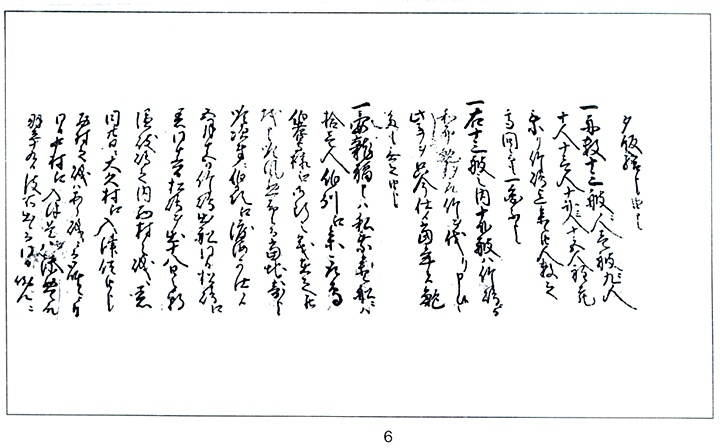 What he had prepared tells us a little about the characterists of this “Jasando / Matsushima” the Koreans were going to the morning after they confronted the Japanese. The fact Anyongbok waited until the next day in itself shows Jasando was a far away island and not Jukdo Islet 2.2kms next to Ulleungdo as some Japanese wrongly assert. If the Japanese were situated on Jukdo Islet the Koreans would have continued to confront those fishermen rather than wait until the next morning. We should also take note, An Yong Bok was accompanied by many others including Buddhist monks which means the Koreans protested peacefully and felt justified in their cause. So many Japanese historians try to villify An Yong Bok or attack his character when in fact he was not alone on both of his protest journeys to Japan. Thus, in reality, the name “An Yong Bok Incident” itself is somewhat misleading. Japanese Takeshima lobbyists have long tried to dismiss the Anyongbok Incident as a fabrication. 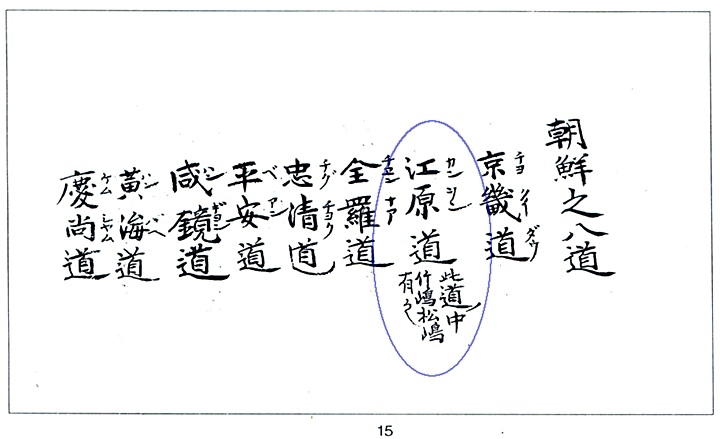 However, with the discovery of the Murakawa family’s records in 2005 there is little doubt Anyongbok’s Jasando was none other than Matsushima (Dokdo). For centuries after this event both Korean and Japanese historians would continue to quote “Usando is what (we) Japanese call Matsushima. This important historical event would shape the territorial perceptions of Koreans and Japanese and still does to this day.